In addition to the events and fundraising activities that we sponsor, we have, and will continue to, assist other groups and clubs accomplish their charitable goals. Whether we cater an event or participate in a ride, the BBQ Brothers are here to make a difference. Those who know us know they can count on us. The BBQ Brothers offer a wide variety of services. Obviously, BBQ is what we do best. We can bring a meal to you or you can come to our house. The “Hawg Farm” is quickly becoming known as a friendly stop on any ride, or a full service venue and ride destination. With 10 acres of sun and shade there is plenty of room to kick back, relax, and enjoy. Don’t sweat the details, we got you covered. 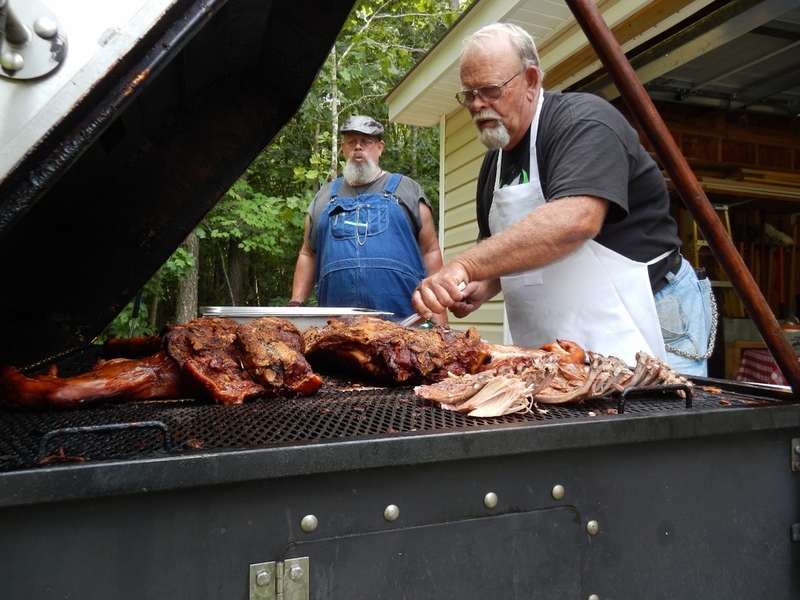 Regardless of the location, when the Brothers cook, the food will be great. We can do whole hogs, Boston Butts, chicken, ribs, hot dogs and burgers or anything else you choose. We can provide as much or as little assistance as you require. Bring your own sides, if you want, or let us do it. We can even provide a DJ! Whatever works for you. That’s how we roll. BBQ Is What We Do!! Pork shoulders, whole hogs, chicken - your choice, we'll cook it to perfection! !